A personalized license plate is a great way to add some fun flair to the outside of your car. With a personalized plate, you can add some of your personality to your vehicle, while also sharing a unique message on the front and back of your car. 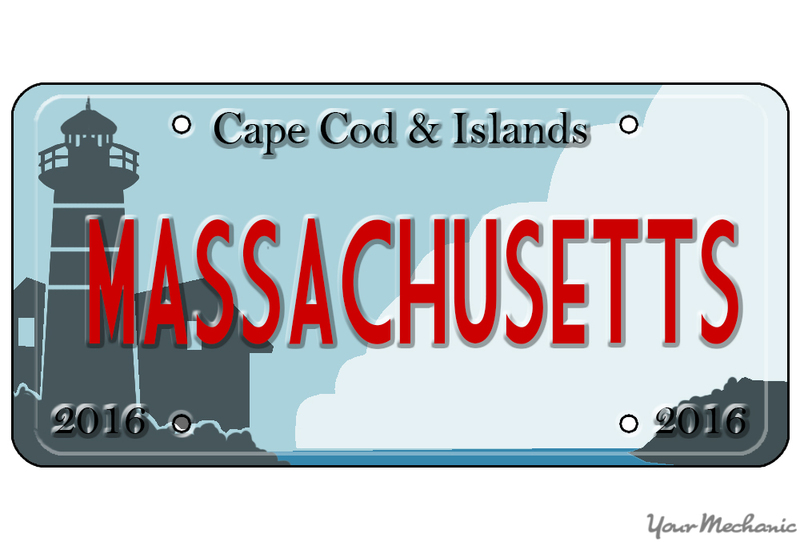 In Massachusetts, you cannot choose a personalized license plate design, only a personalized plate message. However, a plate message is more than enough to make your car fun and uniquely you. And given that a personalized plate is very affordable and easy to obtain in Massachusetts, there may be no better addition to your car. Warning: The vehicle that you are getting personalized license plates for must currently be registered in Massachusetts. Step 1: Visit the Massachusetts website. Go to the official website for the state of Massachusetts. Step 2: Go to the transportation page. Visit the transportation page on the Massachusetts website. Hover your mouse over the “Transportation and recreation” link on the Navigation bar. A drop-down menu will be displayed. Click on the Transportation link to access the transportation page. Step 3: Access the vanity plate page. Locate the menu on the right side of the page titled “Online services”, then click on the "Check the availability of a vanity plate" link. Step 4: Choose a plate message. Select a personalized license plate message, and type it into the verification box. Tip: The license plate message cannot be less than two characters or more than six characters, and cannot contain spaces, periods, or any form of punctuation. All of the numbers must be at the end of the message, and the plate has to begin with at least two letters. Warning: Plates are not allowed to use the letters “I”, “O”, “Q”, or “U” to misspell a word. For example, while “HELLO” is an acceptable plate, neither “HEIIO” nor “HELLQ” is. Step 5: Check the availability. Click the "Verify" button to see if your chosen license plate message is available. If the message is unavailable or invalid, click the back button on your browser and try a new message. Warning: Crude, offensive, or inflammatory plate messages will be rejected. Plates containing inappropriate messages may appear as available on the vanity plate page, but your application for the plate will be rejected. Step 1: Download and print the vanity plate application form. Return to the vanity plate page, and click on the "Application for vanity plates" link under the “Ordering Vanity Plates section”. Download, save and print the PDF. Tip: If you do not have access to a printer, you can visit a full service Massachusetts Registry of Motor Vehicles branch to get the form. Step 2: Fill out your information. Fill out your basic information on the form. At the top of the form, fill out your name, address, phone number, and driver’s license details. Note: The information on the form must match that on the vehicle’s registration. You cannot order a personalized license plate for someone else’s car. Step 3: List your license plate message. Write down your chosen personalized license plate message. Where prompted, legibly fill out your message choice, as well as the meaning of your message. Be sure to also select the plate style you need as well. Tip: You can list up to three different plate messages. It’s a good idea to list at least two, in case the first message you choose is no longer available by the time your application is processed. Step 4: List your local RMV branch. List the full service Registry of Motor Vehicles office that is nearest to you. Your new license plates will be shipped to the office that you select here. Step 5: Sign the form. Sign and date the application form where required. Step 6: Write a check. Write a check for the personalized plate fee. The fee for a personalized plate is $50, and the check should be made out to MassDOT. Step 7: Mail the form. Mail your form to the Registry of Motor Vehicles. Tip: If you’d rather not mail your application, you can deliver it directly to your nearest full service Registry of Motor Vehicles. If you deliver your application in person, you have the additional options of paying with cash or a money order. Step 1: Receive your notification. Receive your notification from the Registry of Motor Vehicles. When your plates have arrived at your local Registry of Motor Vehicles office, you will receive a notification in the mail. Tip: It can take up to 14 weeks for the plates to be delivered. Step 2: Download the application to swap plates. Download the RMV-3 form, the application to swap plates. Return to the vanity plate page, and download the RMV-3 form by clicking on the "Application to swap plates" link. Step 3: Fill out the RMV-3 form. To pick up your vanity plates at the branch, you will need to fill out the Application to Swap Plates (RMV-3) form. You will need to provide detailed information about your vehicle. Tip: Be sure to double check the form to make sure that all of the information is accurate and spelled correctly. Step 4: Get the insurance stamp. Get a stamp from your assurance company in the appropriate box, certifying that they are okay with your license plate swap. Step 5: Surrender your old plates and pick up the new plates. Surrender your old plates to the Registry of Motor Vehicles. Note: In order to receive your new personalized plates, you will have to surrender your existing plates. If you do not want to remove your plates by yourself, a worker at the Registry of Motor Vehicles can help you. Pick up your personalized license plates from the Registry of Motor Vehicles. Take your completed RMV-3 application form to your local Registry of Motor Vehicles to pick up your personalized plates. Be sure to bring cash or your checkbook, as you will have to pay a swap fee. Tip: Make sure that the office that you visit is the same one that you listed on your personalized plates form. Warning: Your personalized plates must be picked up within 90 days of their arrival, otherwise they will be relinquished, and your fee cannot be refunded. Step 6: Install your new plates. Install your new personalized license plates on both the front and back of your vehicle. Tip: If you do not feel comfortable installing your new plates, either a worker at the Registry of Motor Vehicles, or a hired mechanic can help you out. Warning: Be sure to place current registration stickers on your new plates before driving. With your new personalized license plate, your vehicle will say something about you everywhere that you drive. Your new plates will surely put a smile on your face every time you go to your car.